Life has been extremely busy lately! Between moving Sarah and catering a lunch for Elon graduation things have been very hectic! I wanted to share some of my favorite new things and some of the things that are on my wish list on the blog today! I hope you enjoy! I'm excited about these new cookbooks that I got for my birthday! I can't wait to try some of the recipes from all of them! 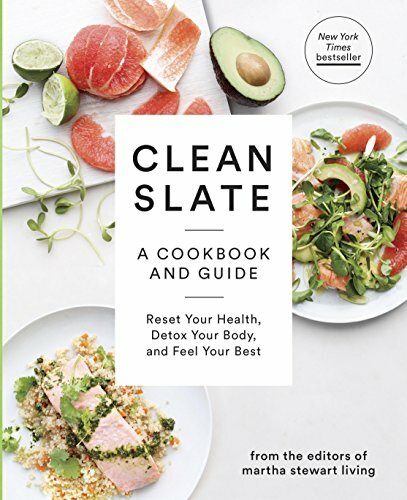 Clean Slate is a great cookbook from the editors at Martha Stewart Living. If you're looking to reset and detox, this book is for you! 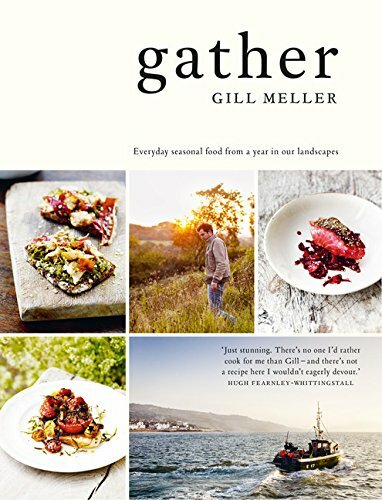 Gather by Gill Meller is a beautiful cookbook with seasonal recipes and amazing photography. Eat Beautiful is all about eating for beautiful skin! These macaroons are my find of the month! I was at Costco and there they were on the end of the cheese isle just waiting for me! They aren't Laduree French Macaroons, but they are delicious and reasonably priced! They might even inspire a trip to Paris! I have been wanting a new knife for a while now and I've had my eye on this one from Williams Sonoma by Shun! I makes chopping easy and feels really good in my hand! These are some of my favorite new beauty finds for spring! My signature scent is Jo Malone Pomegranate Noir! I wear it every day and I love to mix it with other Jo Malone scents. I'm hoping to purchase the new Silver Needle Tea Cologne also by Jo Malone. I have been using Fountain Phyto-Collagen Molecule for a couple of weeks now to support new collagen formation and battle premature aging! A also recommend Vital Proteins Collagen Peptides. Another supplement that I have been using and highly recommend is Healthworks Lucuma Powder. It is a superfood that is packed with vitamins, minerals and antioxidants. It is high in phosphorus, calcium and trace elements. I add it to my morning yogurt for more energy during the day. Saje essential oils smell like heaven and are great to use in a diffuser. I bought the relaxation oils and have been using them during the day to combat stress. Normally, I use pink or red nail polish on my toes, but I'm going to try this metallic silver color from Kendra Scott next time. I got a fabulous swag bag when I left the Create & Cultivate conference earlier in the month. One of the gifts was a sample box of skincare products from Kopari. My favorite product is the Coconut Lip love balm. I use it before bed and throughout the day over my lipstick. It make my lips feel soft and is made with coconut oil so it is very moisturizing. Porter Magazine is my favorite magazine! I read it like a novel every time it comes out. Unfortunately it is still a quarterly magazine, but it is packed with fabulous articles on every topic and the photography is beautiful! Diptyque Candles are created in Paris and are among the most luxurious candles you can purchase! These new Hourglass diffusers are guaranteed to make your house smell amazing! I love the combination of this bright Tibi dress with the Tory Burch Espadrille! The good news is that they are both on sale! I hope you've all had an amazing weekend so far! I'm off to do a little yoga and then start cleaning and organizing this house again! I think having a clean and organized house is such an amazing feeling! If I could just figure out how to keep it that way, I would start a company! I would REALLY LOVE to know what you think of this post! Please let me know by leaving your comments below! Follow me on Instagram @crazyblondelifeblog!